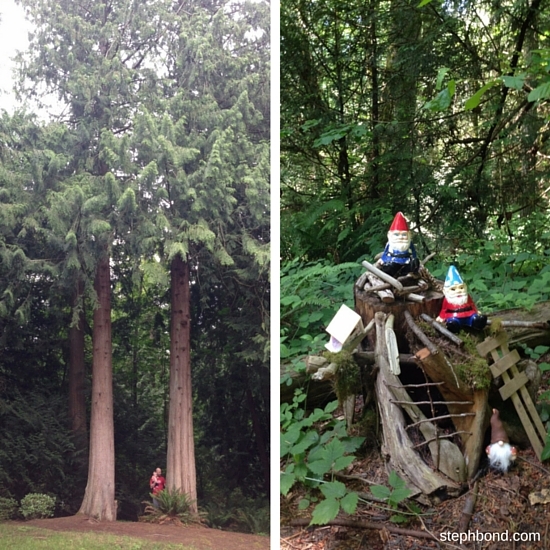 My sister's house in Redmond, WA, is surrounded by enormous fir trees and we spent lots of time cuddling our new niece and watching the squirrels quarrel in her garden. We also spotted darling buzzy hummingbirds and a beautiful Stellar's jay with vivid, inky blue colouring. 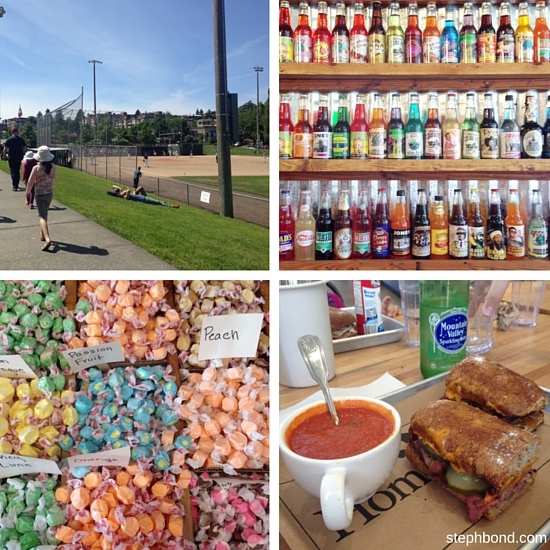 On Memorial Day we ventured out to nearby Kirkland; a cute lakeside neighbourhood with a public pier, cute shops and great cafes including Aura Bakery which serves Intelligentsia espresso coffee (seriously good). The Homegrown sustainable sandwich shop was a great spot for lunch - we had great-quality local and organic pastrami sandwiches and tomato soup. We also popped into Rocket Fizz soda pop and candy shop with its eye-popping selection of sweet treats. The kids were soon ready to blow off some steam, so we headed to the nearby playground where we also watched a local baseball game. Redmond Town Centre is a convenient spot for a little retail therapy and has a great froyo (Red Mango - one of the very best I have had anywhere) as well as a small musical playground for the little ones and sidewalk shuffle board for the bigger kids. On Saturdays the town centre hosts a very good Farmer's Market and is a spot for vintage car enthusiasts to get together and ogle at each others' rides. Just around the corner is Trader Joe's (famous for it's two buck Chuck wine which is actually now $2.99) and well-priced groceries, a cute hippy coffee shop and a good toy shop. There are also several restaurants and our major destination for the day - Molly Moon's ice cream store. 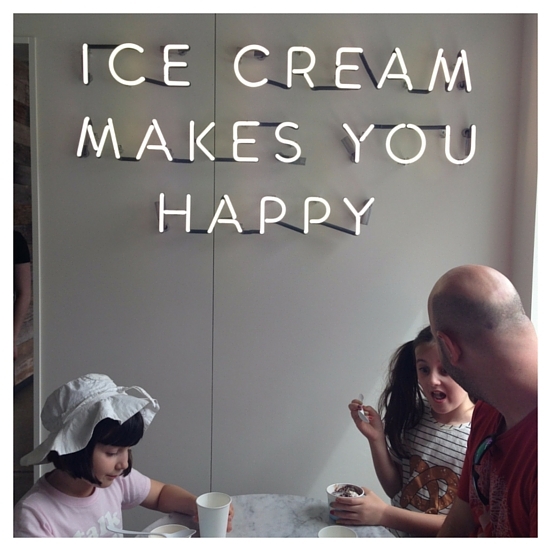 Now, this is a lesson in how to make the ideal ice cream shop. Molly Moon's is right next to Redmond's Homegrown sustainable sandwich shop and they share a thoroughfare and bathrooms. The first thing you notice is the line of people outside and the smell of the waffle cones. If that's not enough to entice you in, you'll definitely want to check out the cute t-shirts displayed in the window with their cool typography and fun designs. Once inside, there's the neon sign on the wall, more cute merchandise including flavoured lip balms, and then those flavours - earl grey tea, vegan coconut and strawberry, honey lavendar, Stumptown coffee, sasquatch, spring berry goat froyo, balsamic strawberry and more - all handmade from locally-sourced produce. Then add a myriad of toppings or choose a sundae or milkshake. 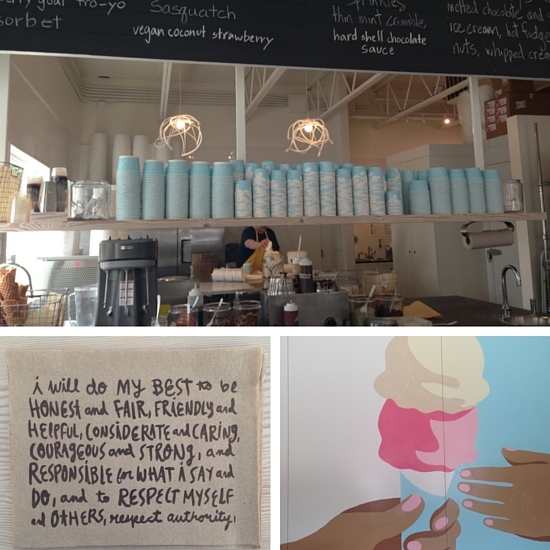 Grab your ice cream and you'll find inspiration quote paper napkins, free water, shopping bags and tubs to takeaway. It's a complete ice cream experience; we went in for a look and came out with three ice creams and two tshirts! 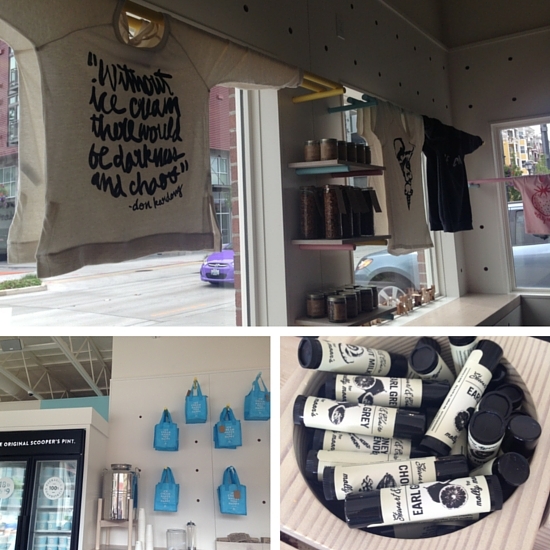 There are several Molly Moon's locations in Seattle and definitely worth visiting. Bagels are always a must for us on our US trips and we love Blazing Bagels in Redmond, right near the Wholefoods. 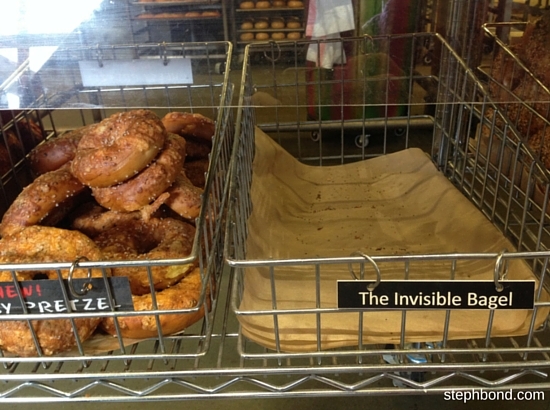 Bagels are made fresh on-site and there is every type bagel and toppings to choose from to eat in or take away. Including bagels for pooches! We had a few hours spare one afternoon so popped over to nearby Bellevue for a wander around the Botanical Gardens. There's a lovely little walk to a suspension bridge and a cute gift shop. Check out some more kid-friendly activities to try out in Seattle from our last trip here and here. 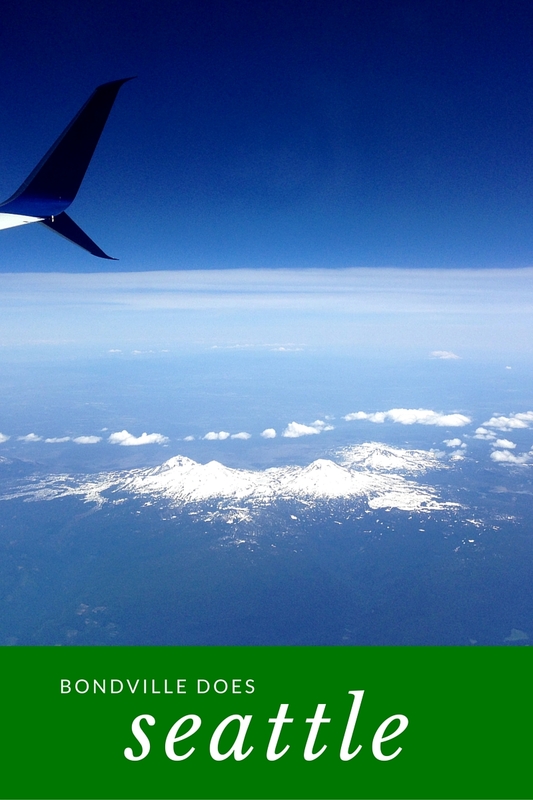 We're visiting the East Coast now - you can follow along via my Instagram account @sbond.